The Malamute was named after a nomadic Artic tribe the Mahlemiut Inuit Eskimos. They are powerful and can endure extreme weather conditions and were used as sled dogs and for hunting. The breed was first officially recognised by the American Kennel Council in 1935 and only arrived in Australia in 1978. This large dog has a thickly furred double coat that can be seen in a variety of colours including grey, black & white, sable (red undercoat with dark grey outer coat) or red. 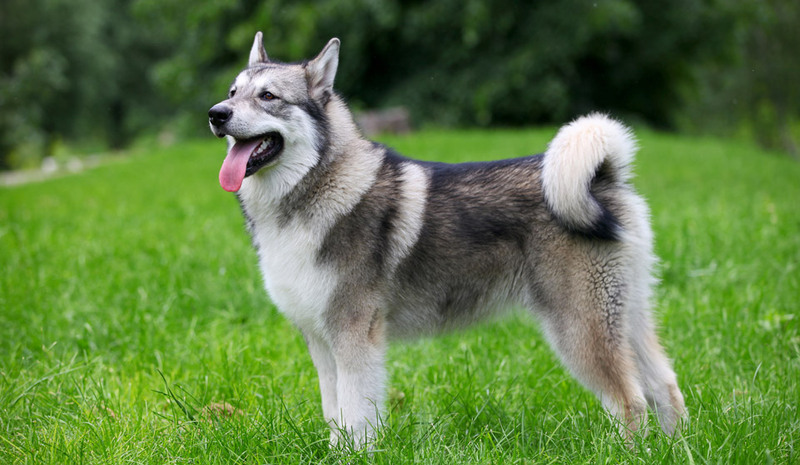 Comparisons are often made between the Malamute and the Siberian Husky, Alaskan Husky, or the Alaskan Klee Kai, however there are stark differences. The Malamute is a larger, heavy-boned dog bred for power, strength and hauling heavy weights over long distances. The Siberian Husky is a smaller dog bred for speed and agility. Due to their high energy level and impressive intellect, both physical and mental stimulation is imperative to avoid behavioural problems. Failure to challenge and exercise these dogs regularly results in distressed and occasionally destructive dogs. Hip Dysplasia – Genetic condition that cause abnormal development of the elbow and hip joints in young dogs. This can lead to early onset degenerative joint disease. Allergies and Auto –immune disease – Causing skin problems. Bloat (Gastric Dilatation Volvulus, GDV) – Twisting of the stomach resulting in rapid swelling of the abdomen causing pain and eventual death if not treated. Immune mediated Haemolytic Anaemia – Immune system destroys red blood cells causing anaemia, signs include weakness, poor appetite, listlessness and fever. Diabetes Mellitus – Abnormally high blood sugar resulting in ravenous appetite, excessive drinking and urination, vomiting and possible coma. Corneal Dystropy – Fluid accumulation in the cornea resulting in inflammation of the cornea and possible corneal ulceration. Cataracts –Abnormal opacity in the lens resulting in blurred vision and eventual blindness if not treated. Epilepsy – There is an increased incidence of recurrent seizures in this breed. Looking for Alaskan Malamute insurance?